The exhibition will be held at the prestigious Queen Victoria Art Gallery, Launceston, Tasmania from Friday 7 September to Sunday 22 October 2017 and will be documented in a comprehensive catalogue. 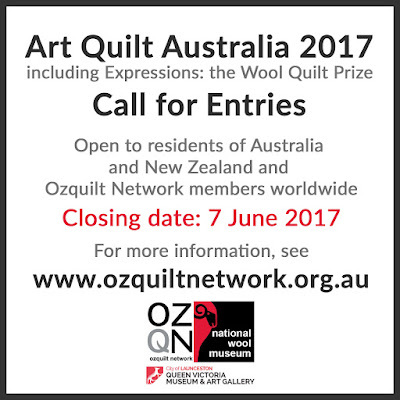 Art Quilt Australia 2017 is a juried exhibition with $6000 in prize money. All selected entries are automatically eligible for consideration for the $3000 Award of Excellence (non-acquisitive). Entrants submitting complying wool quilts (see below) may also nominate their work for the $3000 Expressions:Wool Quilt Prize where the winning work is acquired by the National Wool Museum for its permanent collection. This Friday 5 May 2017, we welcome the talented Pamela Brockwell to our Friday Showcase. 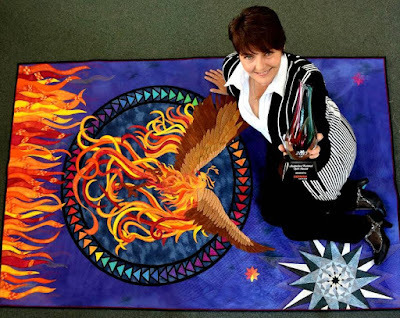 Pamela Brockwell is currently a member of both Nowra and Canberra Quilters, is self-taught and after 15 years of quilting continues to seek and find new techniques to incorporate in her own designs with hand dyed fabrics. In 2016, Pamela won the Australian National Quilt Award (sponsored by BERNINA) for 2015 with her quilt 'Canzone Rosso' (pictured). 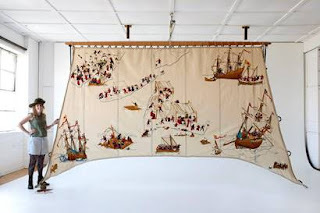 At our showcase, Pamela will be displaying and discussing her work, beginning with her first quilt, through to some of her earlier creations and her show quilts. 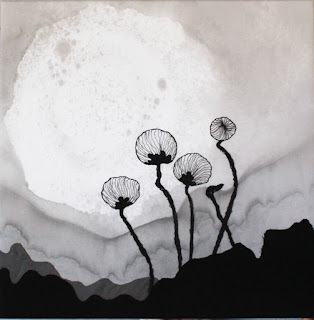 Pamela has also promised to provide a glimpse of some of her works which did not turn out as she had planned! QuiltNSW holds Friday Showcase at its office (just behind Town Hall station at 276 Pitt Street, Sydney) on the first Friday of most months and and starts at 10 am. Visitors are most welcome so bring a friend along - $5 for members and $10 for visitors. The full schedule of upcoming showcases is on our website.